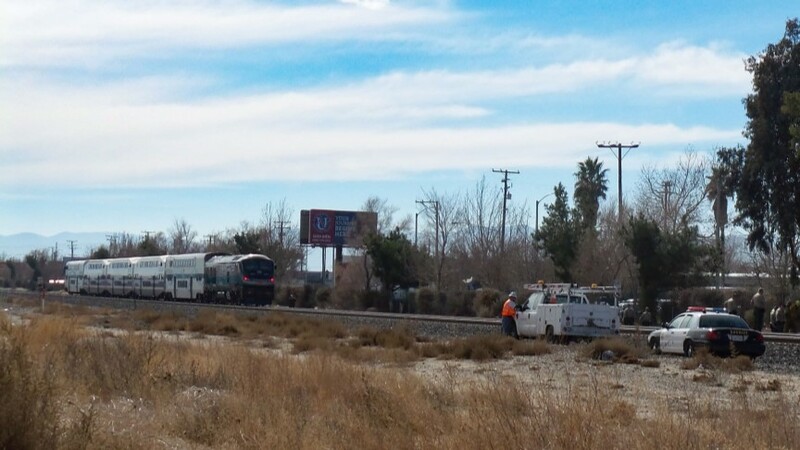 LANCASTER – A person was struck and killed by a Metrolink train on the Antelope Valley Line Wednesday morning about a mile south of the Lancaster Station. The victim, who was not immediately identified, was pronounced dead at the scene about 11:35 a.m. Wednesday, Jan. 30. Passengers on Los Angeles-bound train number 216, along with two others, were accommodated on buses or directed to trains with later departures, Metrolink reported. 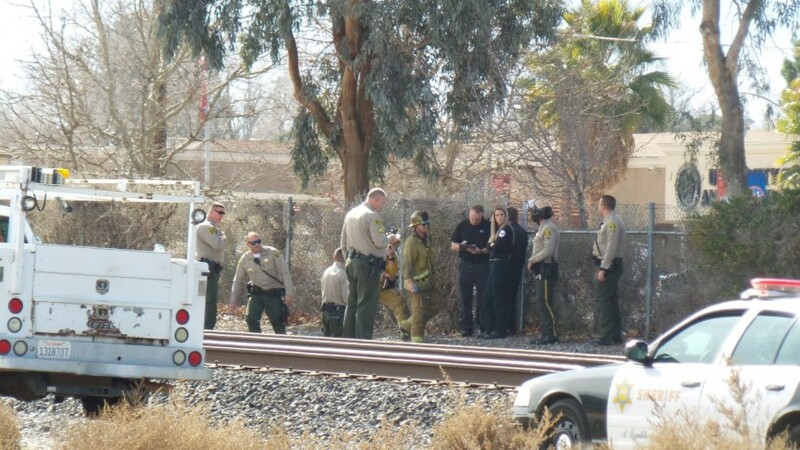 The tracks were reopened just before 3 p.m., a Metrolink spokesman said. UPDATE: The victim has been identified as 31-year-old Mandy Swensen, according to the Los Angeles County Coroner’s Office. Her place of residence was not immediately available. It is unclear why Swensen was on the tracks. 19 comments for "Person struck, killed By Metrolink train near Lancaster [update: victim ID’d]"
I’ve seen way to many tents all along sierra hwy. The homeless are getting really messy and nasty they have piles of trash all over the parking lots and clothes hung on the fence. I mean u can’t do much if homeless but don’t trash this funky city more than it already is. Debbie, you are a heartless human been, someone lost their life and all you care it’s your commute? you are an empty soul…… Regardless if the person was homeless or not, still human and your comment it’s so out place. Not that it would really matter…but does anyone even know if the person was homeless?? person was homeless or not, it’s still loss of a life. Who is this icky Debbie, maybe she should nap on the tracks. F@$! your commute, someone just lost their life. God bless your soul you inhumane sick cockroach. I feel bad for the conductor and the people on the train. What an awful thing to see. Sure to cause trauma for a long time. I don’t feel bad for the person who decided to take their life in this way. They wanted to end their life and hopefully, they are in a better place. Why do the homeless have to ruin our society and morning commutes? Why do Debbie’s have to be such downers? They are humans, not sub-human. Their life is still precious. What an evil thing to say Debbie. Debbie Downer ruin the commute? You are not human, you must not believe in a high power! I wish you could to a homeless swap show and you try to live the life of someone who has fallen on hard times and are homeless, not all of them want to be homeless (yes some do). GOD I REACH OUT TO YOU TODAY to HELP AUNT DEBBIE DOWNER!